Travel photography plays an important role in our world. At its best, it can present our planet in a new light, helping us to understand it and encouraging us to make it a better place. It can encapsulate the feeling of a particular time and place, standing out in our minds like a bright spark and making us want to get out there and explore. The eight leading travel photographers featured here spend their lives roaming the globe capturing just these kinds of images. They have picked their single favourite travel shot from the tens of thousands they've snapped throughout their careers, sharing the potent stories behind them, and the lessons amateurs can learn from their success. From feasting polar bears in the Canadian Arctic and dreamy surf locales in Tahiti, to novice monks in Myanmar and remote tribes in Indonesia, these powerful images highlight the importance of qualities such as patience, planning and preparation that all all play a part, as well as a dash of serendipity. We're certain they will also motivate you to see these magical destinations for yourselves, and to lift your own travel photography to the next level as you do so. A leading Australian photographer and creative director, Luke Shadbolt specialises in underwater and nature photography. He has shot covers for Surfing World and Qantas Magazine and his work has recently been featured in Time magazine and National Geographic. Shadbolt is represented by Michael Reid Gallery in Sydney and Berlin. 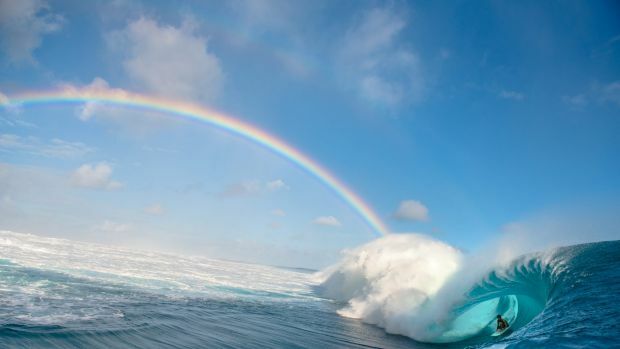 THE IMAGE "Teahupoo Rainbow" was shot in Tahiti, French Polynesia, in May 2015. It took second place in the 2016 Nikon Surf Photo of the Year competition, and was published in White Horses magazine. THE EQUIPMENT Nikon D810 camera with a Nikon 24-70mm 2.8 lens and Aquatech Imaging Solutions underwater housing. THE STORY "Teahupoo is one of the most intimidating and visually stunning waves on the planet and I'd always wanted to see it on a large swell. It's like a stadium when you're sitting in the boat in the channel. I'd been shooting from the water all day and was exhausted from swimming. Just as I was about to head in, the afternoon sun popped out from behind a cloud and this double rainbow formed, lining up with where the wave breaks. The swell had become inconsistent by this point, but luckily a good sized set came through just as I swam into position. There were only three waves in the set but they all lined up perfectly, with local pro surfer Enrique Ariitu showing the intense wrap of the wave on the end of the reef in this shot." THE LESSONS "These sort of moments are fleeting so it's best to have a camera ready at all times. I like to keep my kit light though, so one body and an all-round lens is best, plus a circular polariser always helps when shooting anything reflective." Mattia Passarini is an Italian travel photographer who specialises in capturing the most remote indigenous tribes in the world, in countries including Pakistan, China, India, the Democratic Republic of Congo, Myanmar, Indonesia and more. Passarini sells fine art prints of his work at mattiapassarini.com. THE IMAGE "Yalimo" was shot in West Papua, Indonesia, in February 2015. It received an honorable mention in the 2015 Siena International Photo Award, and was a finalist in the 2016 National Geographic Travel Photographer of the Year. THE EQUIPMENT Nikon D800 camera. 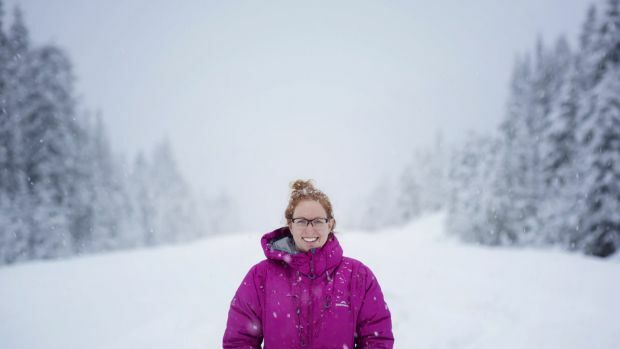 THE STORY "I have a passion for visiting remote destinations that haven't been affected by the outside world, and developed an interest in the Yali people from West Papua in Indonesia. 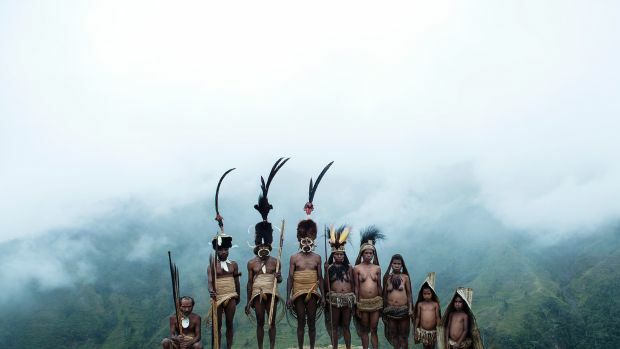 They're a major tribal group living in a very isolated and inaccessible area of the Jayawijaya Mountains east of the Baliem Valley. "To reach them I hiked for more than 10 days, crossing the Yalimo Mountains and passing through many small villages. It was very hard, especially since I'd just spent two weeks in the jungle with the Korowai tribe and had infections on my feet and was fiscally down. But I knew I couldn't lose the opportunity to see the Yali, so I pulled myself together and reminded myself that this was a once-in-a-lifetime journey. When I finally arrived, the people, the environment, everything was just magical. "I had been in the village for a few days when a small ceremony began; I had established a relationship and trust with the Yali by this point, so I followed them through the ceremony and finally got this shot." THE LESSONS "This photograph taught me about patience: wait, be persistent, and the right opportunity will come to you. I spent a week in total with the Yali community and learned to connect with people who are so far away from the world we live in. Each remote ethnic or tribal group I've come into contact with has a unique way of welcoming you and establishing a relationship with you, but I realised that in the end we are all human and we do the same things, just in a different way." Three and a half years ago, Lauren Bath quit her job as a chef to become Australia's first professional Instagrammer, effectively monetising her social media reach by working in tourism. She now works as a freelance travel photographer and Instagrammer, with clients from Tourism Switzerland to Australia Post. THE IMAGE "Wild Horses" was shot in March 2015 just outside Broome in Western Australia. It has since appeared on National Geographic's website, RM Williams' 2016 calendar and various other publications. THE EQUIPMENT Nikon D810 camera with a 70-200mm f2.8 lens. 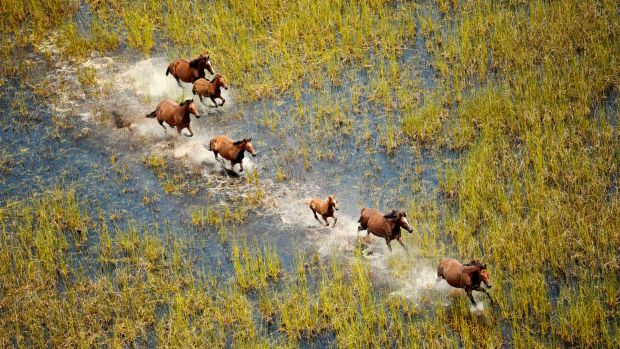 THE STORY "I was visiting a pearl farm close to Broome when my helicopter pilot suggested we fly over a nearby field to photograph the wild horses that live in the area. My first shots were aerials of the herd standing in a field, pretty boring stuff compared with this shot, which was taken when they started to run. "This image is the perfect example of technical skill and luck combining. You can have all the knowledge and skill in the world, but it won't help you get this shot unless you're flying over a field of wild horses. Likewise, you can fly over but if you don't know what you're doing with your camera you won't get the shot. "I remember feeling such a rush of euphoria as soon as I pressed the shutter on this one. I knew my settings were perfect and the shot was sharp. I strongly suggested at that split second that it would be my favourite photo ever." THE LESSONS "Know your camera inside and out and be able to make decisions and adjustments at a second's notice. When you have the technical ability you are free to concentrate on subject matter, composition and light." Based in Australia, Drew Hopper specialises in fine art travel, documentary, street and editorial photography, focusing mostly in the Asia-Pacific region. Hopper is a regular contributor to Australian Geographic magazine. 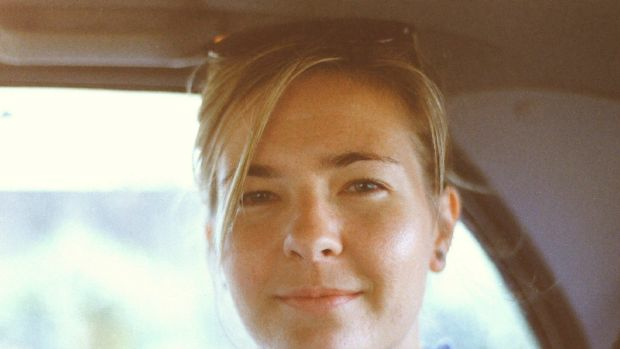 He also regularly contributes to Australian Photography magazine writing photo articles and judging monthly contests. 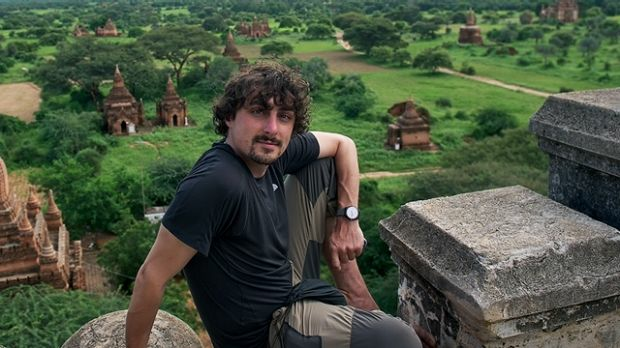 His work features in numerous travel, photography and lifestyle magazines worldwide. THE IMAGE "Looking Forward" was shot by the banks of the Irrawaddy River in a small town near Mandalay, Myanmar, in October 2015. THE EQUIPMENT Canon 6D camera with a Canon 24-105mm f/4L IS USM lens. 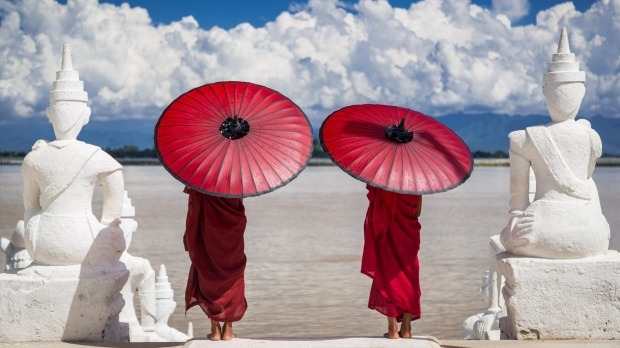 THE STORY "I found these novice monks standing by the Irrawaddy River and was instantly captivated by the contrast of colours – their red robes set against the deep blue sky, with the crisp white statues framing the shot and the moody storm clouds. It was the middle of the day and the lighting was extremely harsh and bright, which made it difficult to capture a correctly exposed photograph, but I knew I had to have the shot. "The image to me feels very peaceful with its array of colours, the setting and spirituality of the novice. You can find thousands of monk photos online from Myanmar, but this felt unique in its own special way." THE LESSONS "It's possible to create powerful images even in the harshest of light. The most important thing to do as a travel photographer is to trust your instinct, as that's usually when the magic happens. This photo also shows how to use contrasting colours to build a strong photograph." Sydney-based Mund shoots destinations with a "slow travel" philosophy, being a Slow Travel Magazine ambassador, as well as food, editorial and photographic art. She has recently been published in National Geographic magazine, Signature Luxury Travel magazine, Geo and View magazines in Germany. THE IMAGE "Rooftop Dreams", shot in Varanasi, India, in June 2015, has won multiple awards including second place in the people category of the 2016 National Geographic Travel Photographer of the Year, third place in the 2016 Head On Photo Festival's landscape prize, and grand prize winner of the 2015 International Photographer of the Year. THE EQUIPMENT Canon 6D camera with 24-70mm f/2.8L II lens at 35mm. THE STORY "Last year I spent three months in India and travelled to Varanasi, one of the world's most holy cities. I arrived at my guest house at 5.30am and instinctively climbed the seven flights of stairs to the rooftop to see the sun rise over the Ganges River. As I looked over the balcony my jaw dropped: below and as far as my eye could see were families – mothers, fathers, brothers, sisters, dogs – all sleeping above their houses. 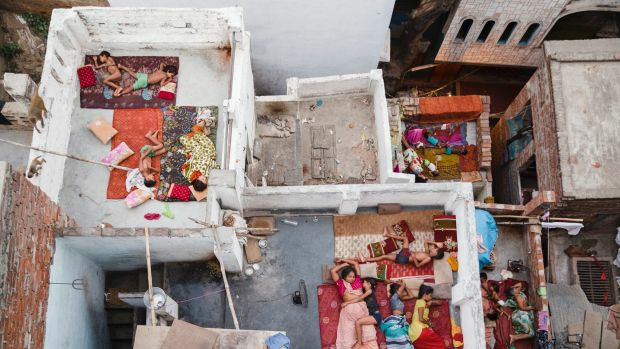 "At the time I had no idea what I had captured; it's not uncommon to sleep on your roof in India in mid-summer and I was very much immersed in the moment. It wasn't until a month later when I was in France that I realised the unique beauty of this photograph, which represents love, tenderness, serenity, humanity and connection, all in the colour of India." THE LESSONS "A moment like this could never be constructed. It's a moment that comes to you for being in the right place at the right time, and for being in new places and situations. I was in India in high summer when it's not recommended to visit because it's too hot (and yes it was 43 degrees some days), but it was the heat that inspired me to wake up at sunrise, and that inspired the rooftop sleeping from the locals." 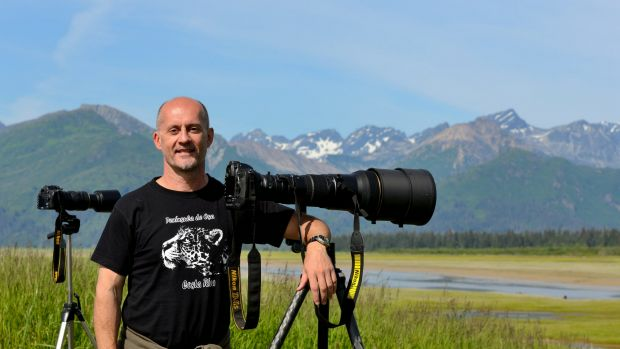 Based in Missouri in the US, John Rollins is an attorney and freelance photographer, with a focus on nature and wildlife photography. His work has appeared in publications worldwide including National Geographic, The Atlantic, The Daily Mail (UK), Huffington Post and CBS News online. 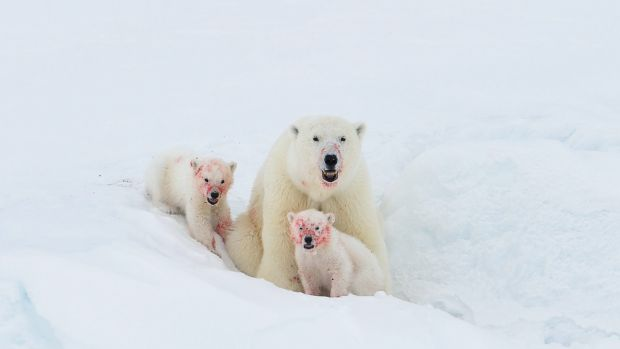 THE IMAGE "Like Mother, Like Cubs" was shot in April 2016, in the Davis Strait in the Canadian Arctic. This photo has not yet been published, but other photos from the series have appeared in The Daily Mail (UK), The Telegraph (UK), National Geographic's Daily Dozen, and as runner up in the Ocean Conservancy Marine Wildlife photo contest. THE EQUIPMENT Nikon D4S camera and a Nikkor 600mm f4 VR lens. THE STORY "In April I was on an exploratory trip with a couple of other photographers and some Inuit guides out on the ice in the Davis Strait searching for polar bear mothers with cubs. On this particular day it was getting late and we hadn't seen any signs of bears. A storm was starting to blow in and we were several hours away from our camp, but just as we were getting ready to head back we spotted a fresh seal carcass at the foot of a huge iceberg. As we moved closer we saw this mother and her two cubs had climbed up onto the berg after gorging on the seal. "At first everything was frantic as we tried to get our snowmobiles into position, grab cameras and get set up in case the bears disappeared over the other side of the berg. But after a couple of minutes, the bears seemed to realise we meant no harm and settled down to relax and play for about 45 minutes. "It was one of the most unique and amazing scenes I've ever seen. To me, this image tells a whole story about survival, family and the circle of life." THE LESSONS "Wildlife photography is exciting and unpredictable. Always be prepared because just when you think you're done for the day, you might get your very best shot." 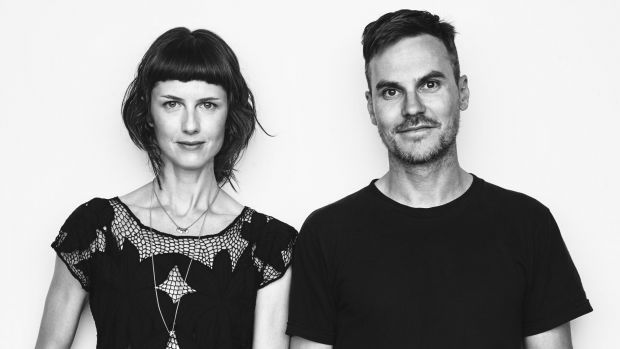 Paola+Murray are a photography duo based in New York, who have been working together since 2010. Ambrosi de Magistris is originally from Rome and Hall from Sydney. They shoot for Conde Nast Traveler, Australian Financial Review Magazine, San Lorenzo Lodges, 5Preview, Upstate, Scosha, Anthropologie and Victoria's Secret. THE IMAGE "Piz Sella 4" was shot in the Dolomites, Italy, in February 2014, and made the December 2015 cover of Conde Nast Traveler US. THE EQUIPMENT Nikon D810 camera, vintage manual focus Nikon portrait lens. THE STORY "It was one of those sweet moments of serendipity. We were in the gondola packed with skiers, in dead time between shots. For once there was nothing to do but look. And of course, as soon as you look you start to see. This little line of skiers were below us, with the sun getting low and the shadows long. The scene was timeless – waiting, shoulders down the piste, no lurid skiwear, nothing much to suggest this wasn't Ingrid Bergman and Roberto Rossellini in Cortina in 1958. We had to elbow our way to the window and shoot through scratched plexiglass alongside everybody else doing Instagram snaps on iPhones. A few moments and it was gone. "Travel shoots are often planned like military exercises, with a story imagined in an office thousands of miles away. There's such an imperative to tick boxes; cool stuff may be happening at the periphery but you're so busy nailing shingles to the wall you don't see it. This was one that didn't get away. The fact that it made the cover is a testament to the journey transcending the destination." THE LESSONS "Trying to contrive good results can leave you with well-executed drivel. Trust the process, keep your head up: it's more about seeing things than killing them." Geoff Lung photographs across travel and lifestyle, food, still life and interiors, and has worked on titles including Vogue Entertaining, Vogue Living, Marie Claire, Food & Wine, Gourmet Traveller and Martha Stewart Living. 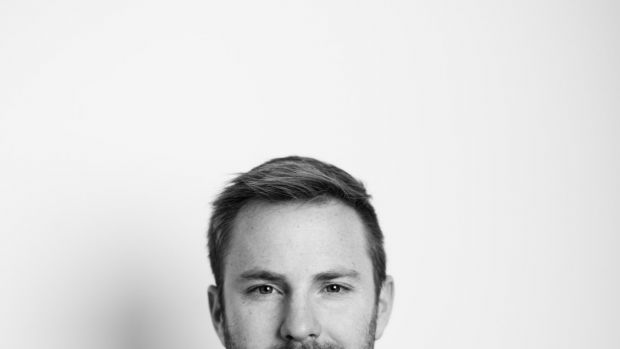 He works mainly in Asia, consulting for food magazines, shooting for celebrity chefs and international hotel groups. THE IMAGE "Zen Palate" was shot in Kyoto, Japan, in 2001. It appeared in Food and Wine Magazine, NY. THE EQUIPMENT Shot on colour negative film, on a Nikon F4 camera with a 58mm f1.2 lens. THE STORY "I was very lucky to have Joe Okada, a very well respected tour guide who works under the name The Last Samurai, as my interpreter on this trip to Japan. Every day he would come to work immaculately dressed in his kimono, calm, serene and respectful. Between shots we would sit and talk and he would make us tea. In one moment everything came together – his kimono as the background, his gesture, the tea colouring and the light, and I shot this picture. The mood was perfect. "This image depicts an offering, a gesture where someone puts you first, and as such encapsulates my whole experience photographing and travelling in Japan. It's a society that places politeness, consideration and humility first. It is not loud, brash or gloating; it is not rude or arrogant. It's a society that's about 'us' and not about 'me'. To me this image says: we have a lot to learn if we are to live together at peace on this planet." THE LESSONS "Travel photography is not all about landscapes. Look closer at life – you'll avoid the obvious picture postcard shots and end up with more intimate and emotional images of your experiences. Try not to use a zoom lens, rather use just one focal length next time you travel. 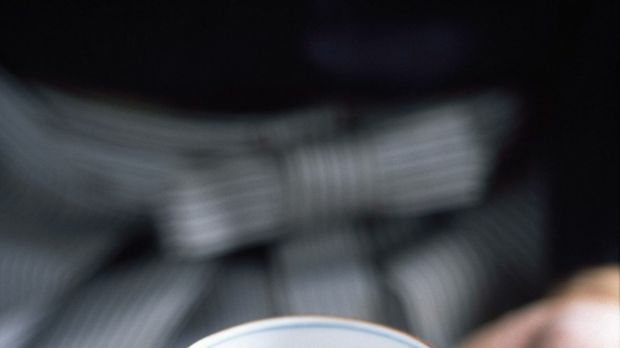 It will help discipline and challenge you more, and help you develop your own signature." "Antarctica. Visually it's heaven; minimalistic, unique and precious. Not to mention the beauty of the animals and birds that inhabit the landscape. Coming in close behind would be Iceland for the northern lights, and Mongolia." "We like to shoot places where stuff happened, where it's not just about how lovely it is. Having run away from Lucca in disgrace with a married woman, Puccini composed all the tragic operas in a little villa in Torre del Lago, Tuscany. Be nice to scratch around in there, to see how the DNA of genius and history has infected the wallpaper." "Mali. I would love to see the secret Dogon fishing rituals." "Scotland has recently crept up my bucket list thanks to the Outlander books and TV series, although it was always somewhere I wanted to visit as my ancestry is Scottish. I envision myself photographing foggy green hills, attractive red-headed men in kilts, and probably a whole lot of sheep." "Raw and untouched landscapes are what inspire me most and Antarctica is just about as raw as it gets." "I've always dreamt of capturing those timeless moments in Havana, Cuba, with the classic old-school cars. The 16th-century colonial architecture would make the ultimate colourful backdrop for street and people photography. The white-sand beaches, rolling mountains and cigars would keep me there for a long time." "Australia is the only continent I haven't visited yet and its unique wildlife, incredible landscapes and underwater photographic opportunities really make it a priority for me." "North Korea. It's a place where you can go back in time and see a unique world, where people are brainwashed and lied to in the opposite way that we are."